This theme is a fork of RetroMode theme. It aims to be light-wieght and extremely thorough including most systems (Console, Arcade or Computers) even those not emulated at the moment. Since its very early and theme is WIP expect major changes. The theme utilizes viking's excellent Nostalgia Platforms set and Clear-Logo Silver Ring set. Filters are applied on Nostalgia set to get a more grunge look + original is video while I am using snaps. I'll periodically keep updating this thread as the theme develops. 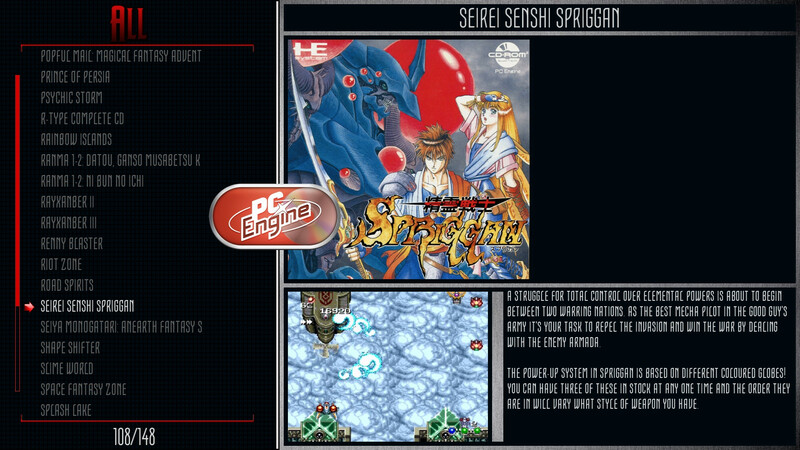 - Have yet to add information panels like year of release, category, players etc on right side of flyer. The current gamelist view, its WIP so expect some changes. Tried Preserve Art module but that didn't work with EndNavigation trigger so removed it for the time being. It had the benefit of placing the point of origin to one point for all flyers so had the desired uniformity. Though flyers for games do seem to work as different sizes are accommodated in current setup. One of the main issues is to create a single layout which can work with all flyer sizes. Might add Play count/ time & Game format with Title on top. Art Assets: Nostalgia set by viking, Silver ring Logo set by viking. Following your progress with this theme has been enjoyable! It’s starting to feel polished! Ps i own that tv in the first second of the video! I remember going to circuit city with my parents and them buying it thinking 27” is huge! Few years ago i seen the same tv they had for sale on Facebook market and had to get it. It’s actually a really good tv, minus the lack of inputs and mediocre speakers. Visually great picture. Thanks, CRT in '27 must have been huge! I find the Sony line of CRTs best for retro gaming.